Back by popular demand and coming soon: “Walk Santa Barbara.” This book has been kind of an enduring classic, and our only book that details walks in a city rather than trails in the country. 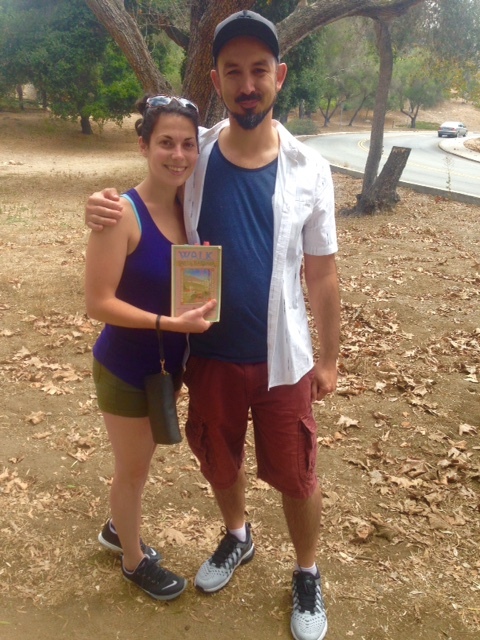 Michael and Mariah from Seattle borrowed the earliest edition of “Walk Santa Barbara” from their B and B and set off on the “Riviera Secrets” walk. We’re re-publishing “Walk Santa Barbara,” as a Trailmaster pocket guide. All of the classic walks have been updated and intriguing new walks have been designed especially for the book. Author John McKinney adds his favorite “Trailmaster Tour” and you’ll find new walks in Mission Canyon, the Funk Zone and at Santa Barbara City College (the Number One Community College in the nation). Santa Barbara is one of the nation’s most walk-able cities. Santa Barbara is as pedestrian-friendly (or more) as most small- to medium-sized European cities, and lacks only international signage and imaginative civic promotion to become a top walking (and hiking) destination for travelers from across the U.S. and around the world. Another cool addition to “Walk Santa Barbara” is transit info. Most of the walks detailed in the guide can be accessed via transit. You can get around great without a car. 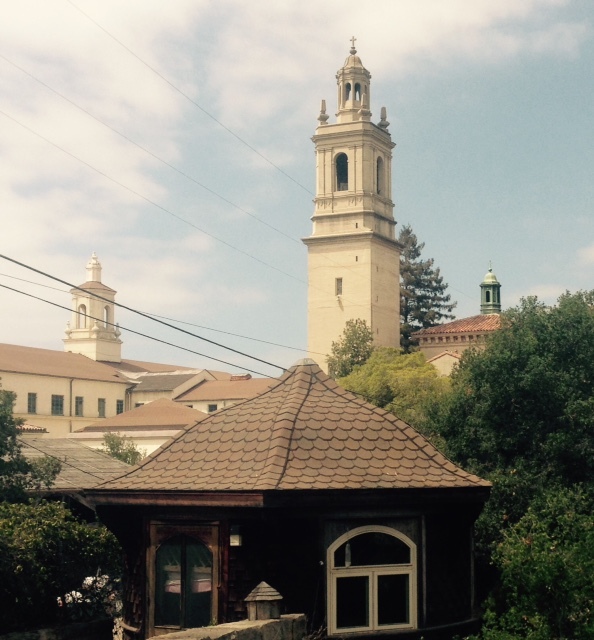 An odd angle on Mission Santa Barbara and 2 more towers–the kind of view you get from a walk off-the-beaten path. Walk Santa Barbara and admire the magnificent natural setting and beautiful architecture, hear the birds and church bells, fill your lungs with the tangy salt air, feel the sunshine on your shoulders. Wind through the paseos, read the unique commemorative tiles that mark historical events, stop at a sidewalk cafe for lunch or a latte. We figure one walk is all most visitors need to realize what Santa Barbara is not: a distant suburb of L.A.; a place where everyone is rich; a town once demographically scorned as “the home of the newly-wed and nearly dead.” One walk is all visitors need to see the town for what it is: a modern city proud of its history; a small town offering big-city services; a seaside resort that’s welcomed visitors for more than 150 years.